Dress semi-dry outer lining 100% Ultraspan © superelastic, to join the tightness of this traditional dress with a high elasticity and comfort of the diver. 100% X-Plush Interior © much heat, fast drying and touch slider that facilitates the placement of the dress. It limits the flexibility of the original neoprene fabric © Ultraspan exterior. Toothed rack transverse watertight TIZIP ©. 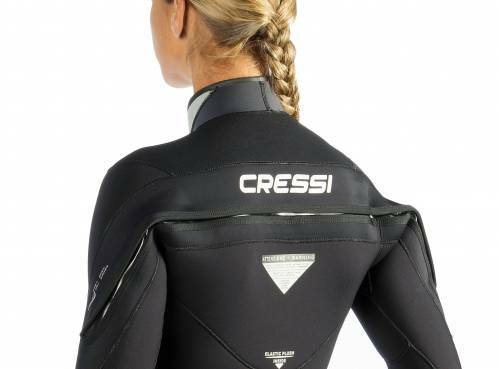 But completely watertight structure and flexibility toothed zippers equivalent to traditional wet suits. 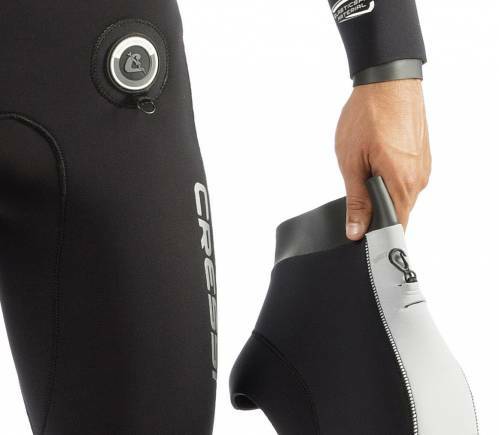 Less need for maintenance and greater comfort than any other semi-dry suit zipper. Limiter to prevent excessive tensions in the zone of maximum openness and study new design and positioning to limit the voltage at the ends in the extraction process of the suit. Estanquitats system without sleeves with double zip lining in Ultraspan © wrists and ankles, a very tight because it acts as a sandwich on the glove or sock, facilitating the insertion and removal of the suit. 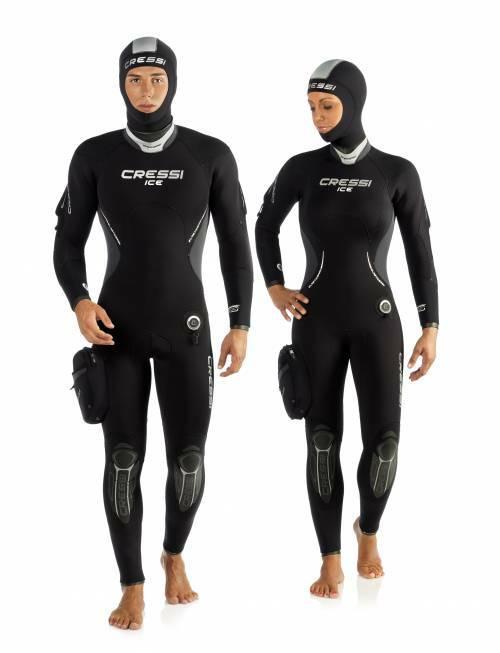 Coll 3mm neoprene with Ultraspan © lining and outer © Glide Skin to facilitate the placement of the suit and the tightness of this critical area, especially in the case of divers with a neck circumference decreased. The pattern Anatomical Shape provides the ideal profile of the neck with respect to the chest (120º) and prevents oppression in this area. A second exterior flap improves the aesthetics and the tightness of the neck. Reinforcements elastic knee / pimples on Tátex virtually maintain the original elasticity of the area where they are applied and prevent erosion. Small Diamond fabric reinforcement © in areas of high erosion as shoulders, shins and buttocks. Anchoring system of the hood in the hip using a small plastic clip. Right hip pocket integrated carabiner with double inner compartment.